Participation in the VIP Program. There are 14 VIP nights available. 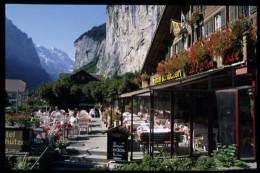 Our family-owned hotel is a typical Swiss hotel, built in traditional Chalet style. Located approximately 3 minutes from the train station and bus stop, this hotel is the perfect location for skiers and wanderers alike. 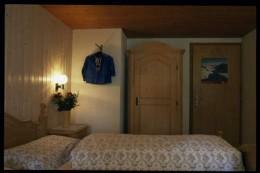 The rooms are warm and cozy and come complete with balcony, private baths, cable TV, radio, telephone and elevator. The view is in direct sight of the¨Koenigin der Berge¨ (queen of the mountains) the Jungfrau and the famous waterfall "Staubbach". Our restaurant is cozy and inviting with seats right in front of the fire. 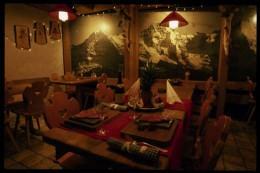 We also have a Bar and a Raclette and Fondue-Stuebli (Stuebli = Restaurant). We have a heated terrace as well as a beautiful garden restaurant which seats about 100.